How to watch Ray (2004) on Netflix Netherlands! Yes, Ray is now available on Dutch Netflix. It arrived for online streaming on January 18, 2019. We'll keep checking Netflix Netherlands for Ray, and this page will be updated with any changes. 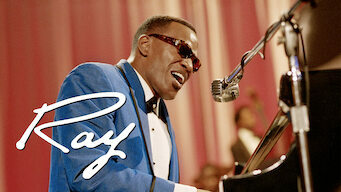 In this biopic, Jamie Foxx portrays rhythm and blues legend Ray Charles, who rose from obscurity and overcame his struggles to become world famous. A life story packed with tragedy and triumph, sin and redemption -- all of it set to the sounds of his soul.